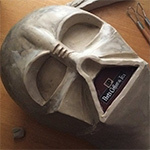 Hi guys, I just got this ROTJ helmet :D . I'm looking forward to start to work on it very soon. These are my first pictures, I will try to post more pictures of my progress from time to time. I hope you like it. Last edited by AJCG on Mon Aug 17, 2009 4:15 am, edited 3 times in total. Very nice :D details man details. Very nice i cant wait to see what this looks like finished. Which version is this going to be, the style with esb type decals or the other rotj style. Im still not too sure which helmet is which in the jedi films.. 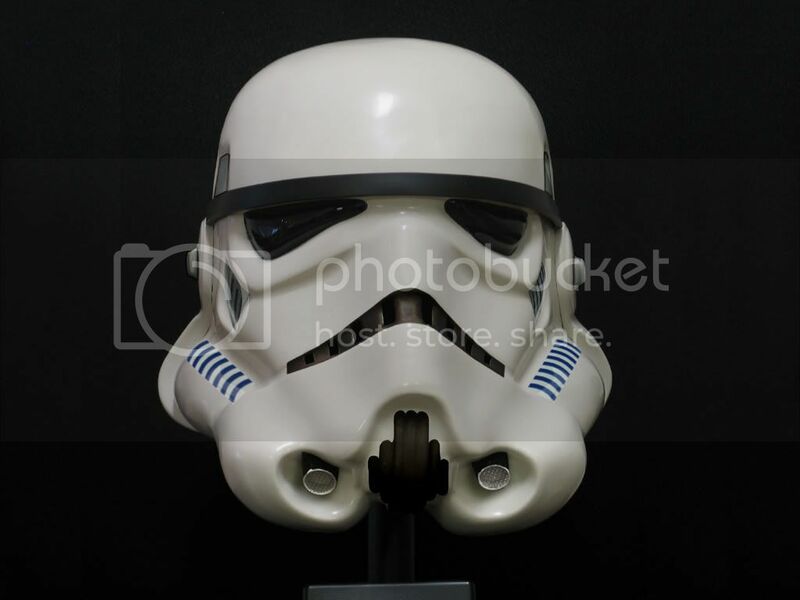 It's closer to the "hybrid" style (ANH/ESB ears and mic tips style, ESB decals). And it's why it would be awesome if JoeR could make the "wonky" style! 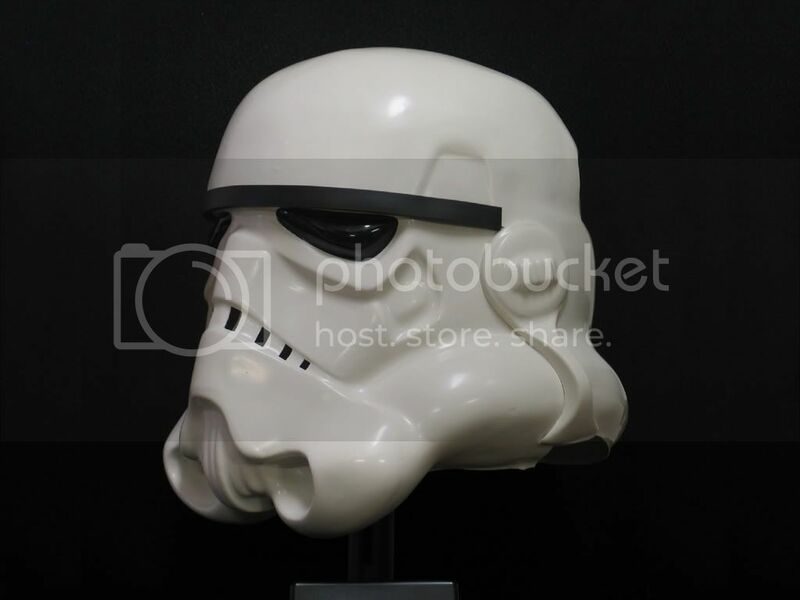 Nice lid, although it looks more ANH derived than RotJ to me as doesnt have the same "droopy" look that the RotJs had, with their collapsed left side. Maybe its the photo - did you take it close up? Thanks guys for your feedback , I'm waiting for Mike's decals but still I'm deciding if I use the ESB decals in the meantime since there few screen ROTJ buckets that used some left overs ESB decals. Definitely mine it is not the squashed version so that is why is great Joe may offer the other version. I'm posting a photoshoped image to help me pre visualize the final product, this not the weathered version I have in mind with machined tips. Still not decided 100% if I will leave the frown squared or rounded. Any suggestion is welcome. 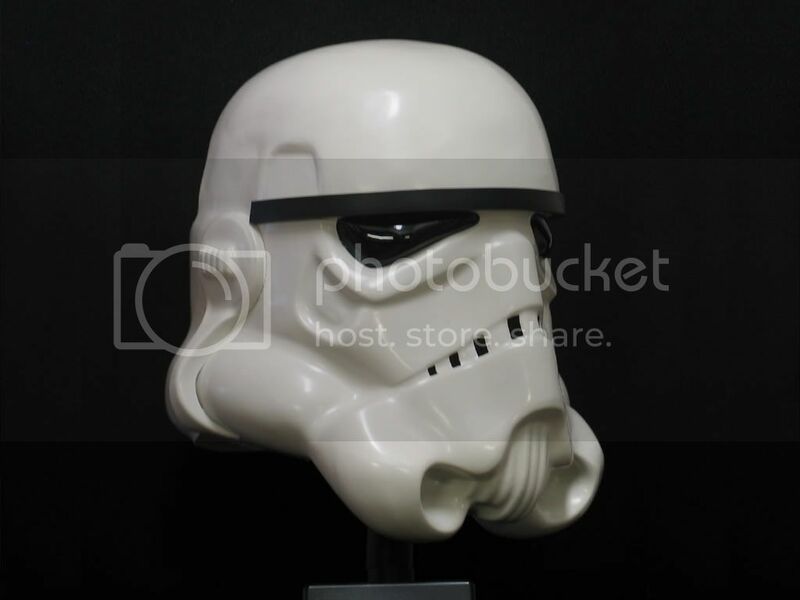 I'm also adding a picture of my ESB bucket to see differences and similarities. 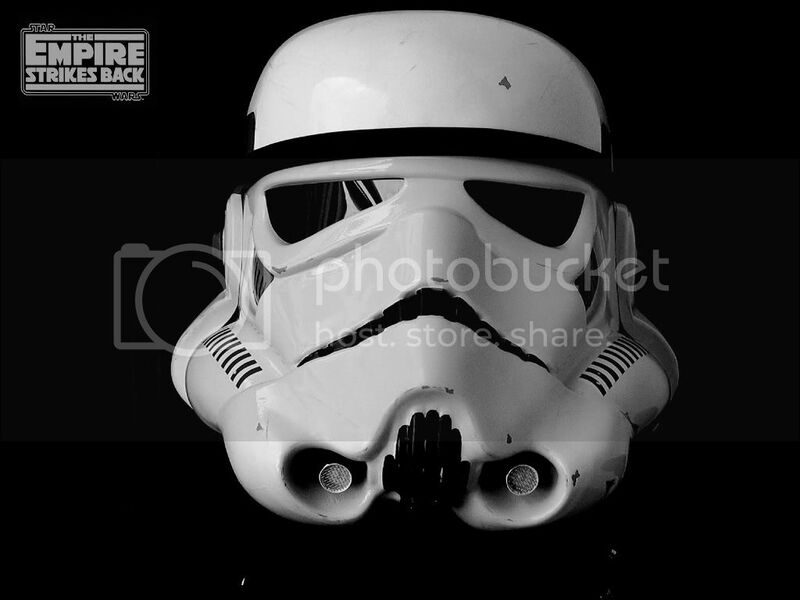 This helmet is really perfect for a deathstar style!! I like the way you have mocked up the helmet with the square frown and the esb decals I think holding out for mikes decals is a good idea. then you offer them both upto the lid and better decide which to use. I would go for the background style with square frown and ESB decals. 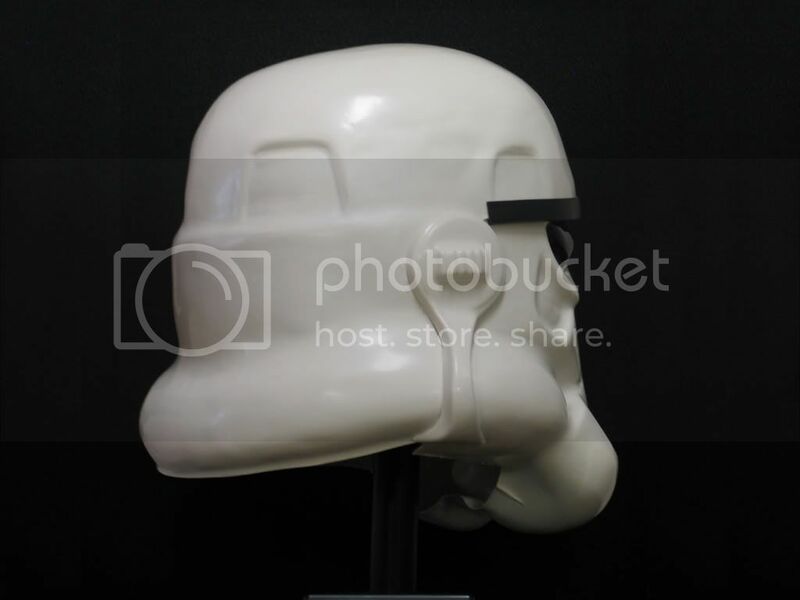 You can also add a petal shaped helmet liner and it will be an accurate background helmet. What make/brand is this helmet? This is a TE mac from his new run. 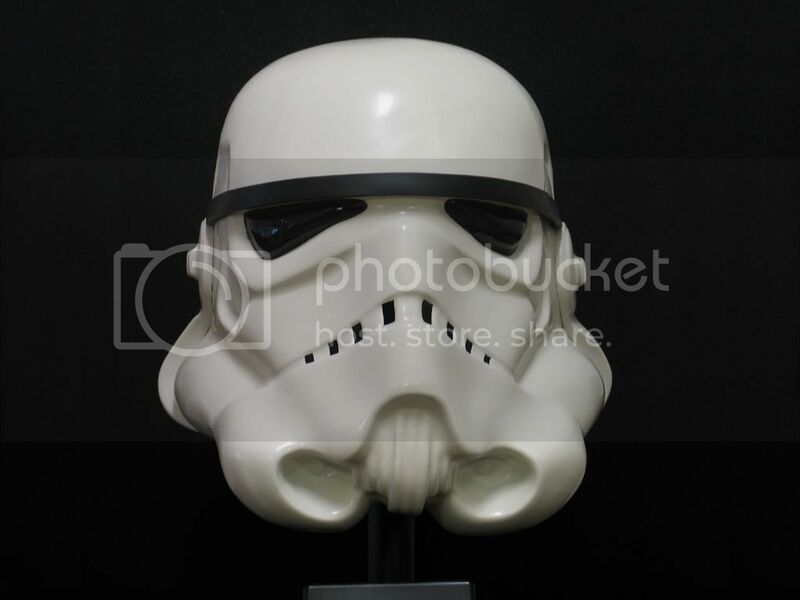 The cap/back mould has been damaged and restored but it is a very nice helmet. Nice Looks pretty darn close.